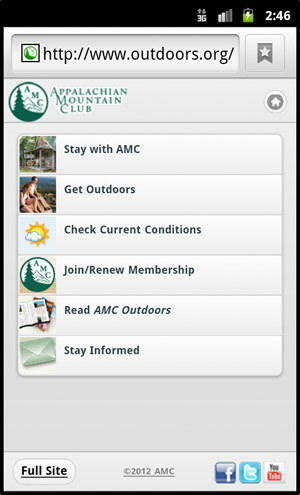 Smartphone users can now connect to Outdoors.org and access a new, mobile-optimized version of AMC’s website. We’ve made the most common online tasks, including checking lodging availability, finding local outdoor programs, checking current conditions, and renewing your membership much easier to do with a mobile device. Check it out and let us know what you think!